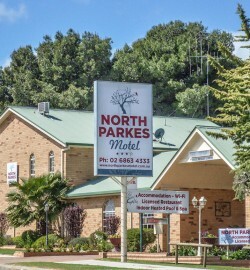 For the best accommodation in Parkes, look no further than North Parkes Motel. The North Parkes Motel is the perfect stop-over situated between Brisbane and Melbourne on the Newell Highway. Catering for business reps, families passing through, or folks that want a holiday, this motel has it all. Come and enjoy the best accommodation in Parkes. Here you’ll find lovely, spacious and well-equipped rooms, delicious food from Marty’s Restaurant, a cocktail bar, a heated indoor pool, and all this in one convenient location. So whatever your reasons for coming to Parkes, North Parkes Motel is the ideal accommodation to book. They offer great value, home comforts, great traditional hospitality and a perfect location. 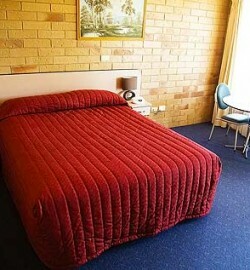 North Parkes Motel is the ideal base to explore the central west of New South Wales. Parkes and nearby Forbes are located on the beautiful undulating plains that lie to the west of the magnificent Great Dividing Range. It’s a gateway to the rugged outback, old mining towns, glorious open spaces and beautiful sunsets. A little north of Parkes is the incredible Parkes Observatory. Here you’ll find the iconic CSIRO radio telescope, or The Dish, as it’s known locally. The Parkes Observatory Visitors Centre allows visitors to view the dish as it moves. There are exhibits about the history of the telescope, astronomy, space science and a 3-D movie theater. Within walking distance of North Parkes Motel is the well-known Henry Parkes Centre. Inside you’ll discover four unique collections. There’s the fascinating Antique Machinery Museum, Henry Parkes Museum, Parkes Motor Museum and finally, the ‘Kings Castle’ which has interesting Elvis personal artifacts. All of these places are a must-visit when you’re in the area. 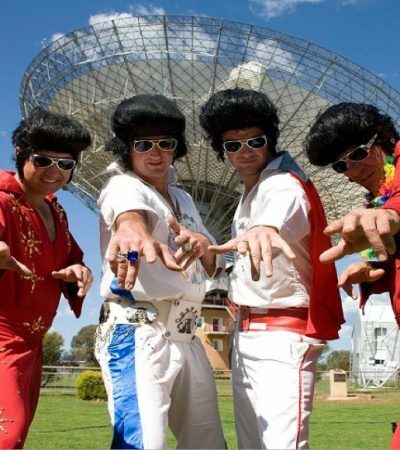 A fabulous and fun annual highlight for Parkes is the award-winning Parkes Elvis Festival. The Parkes Elvis Festival is a lively event celebrating the music and the legend of Elvis Presley and is held in early January around the great man’s birthday. Be prepared and book your accommodation early as we’re always busy during the Festival period. Room service dinner and buffet breakfast in the restaurant are also available. • We’re kids & family friendly! Marty’s Restaurant is a fully licensed Cocktail Bar and Restaurant that can accommodate up to 70 guests. Here you can enjoy a range of delicious light meals, classic main courses, and yummy desserts. We also cater for private functions and provide a buffet dining experience for group bookings of 20 people or more. “Stayed here on our trip from Melbourne to Coolum. Lovely room at a reasonable cost. Having an onsite restaurant is great after a long drive.